Sloane and Justin are married! Jessey, Jerry and I walked around and captured some portraits in their favorite Upper West Side neighborhood and also in Central Park. 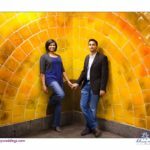 Central Park, New York City engagement and after wedding portraits by Mariann Szucs, Blue Daisy Weddings.